So my bucket list has me wanting to be body painted. 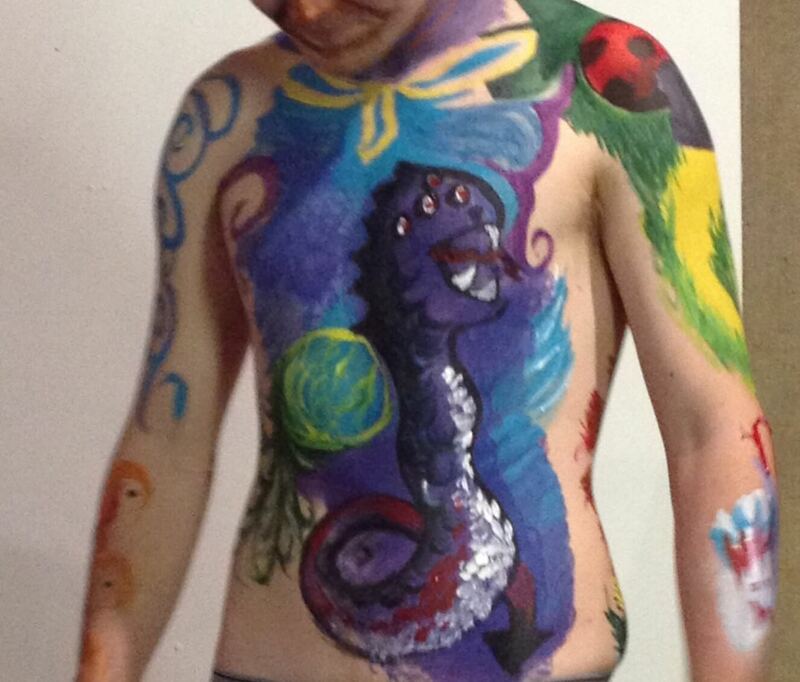 When the local venue offered a class on body painting, I jumped at the chance. I didn’t have any idea what would happen – in the end, there were three models, suffering in the large warehouse in winter, and a known artist (of make up and painting bodies) who just said ‘go have fun!’. Other people come from a make up background. One woman and two friends were enjoying it as a birthday gift. 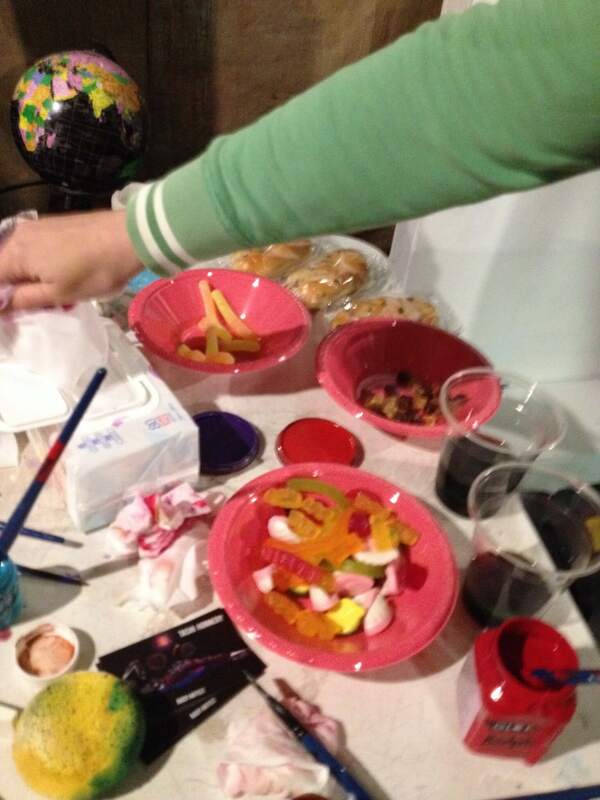 Everything was provided, including sugary snacks and some vino. All in all, a good way to spend a night! I just cant say no! Male models back made me want blue hair! If you’re looking for quirky one off classes after work or on weekends, try The Workshop, which is in both Melbourne and Sydney. I subscribe to their weekly email, which is a great way to scan if there’s anything of interest when I’m free. I thought you wanted to be painted! Either way doesn't appeal to me. Not that I have a desire to paint at all. But YES – I do want to GET painted, but this was a tow in the water start! I thought you wanted to be painted, too! Would be fun to do at home…. 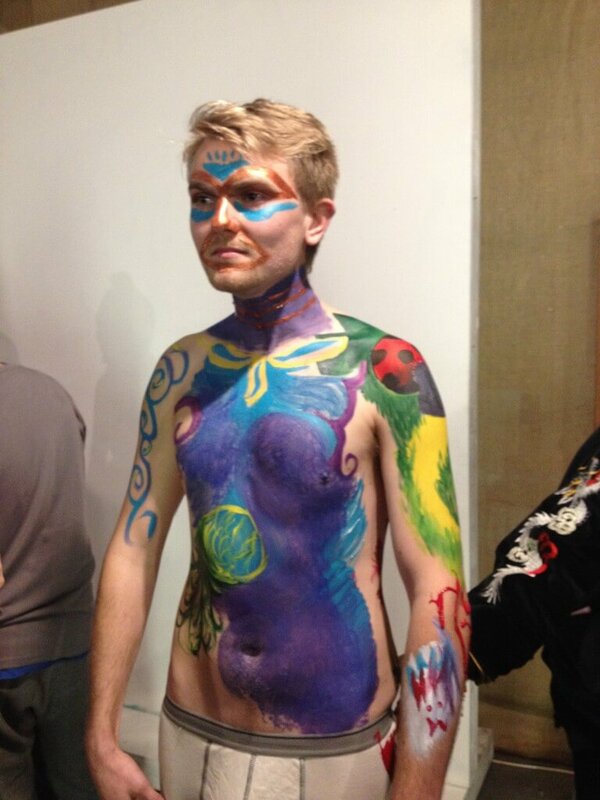 Yes I do, but given I wasn't seeing 'body paint models needed' this was a start – and I quizzed the pro. 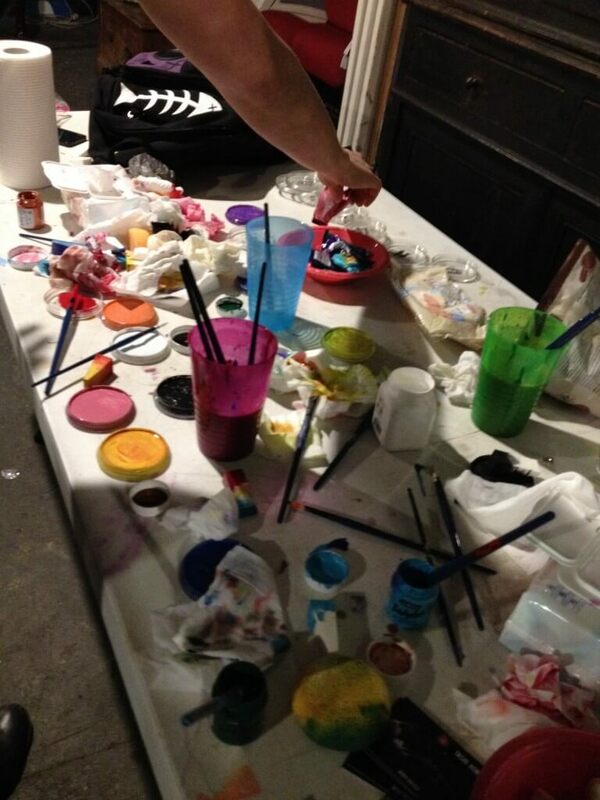 Did they provide take-home paints for further practise? Sorry – click baiter I am! 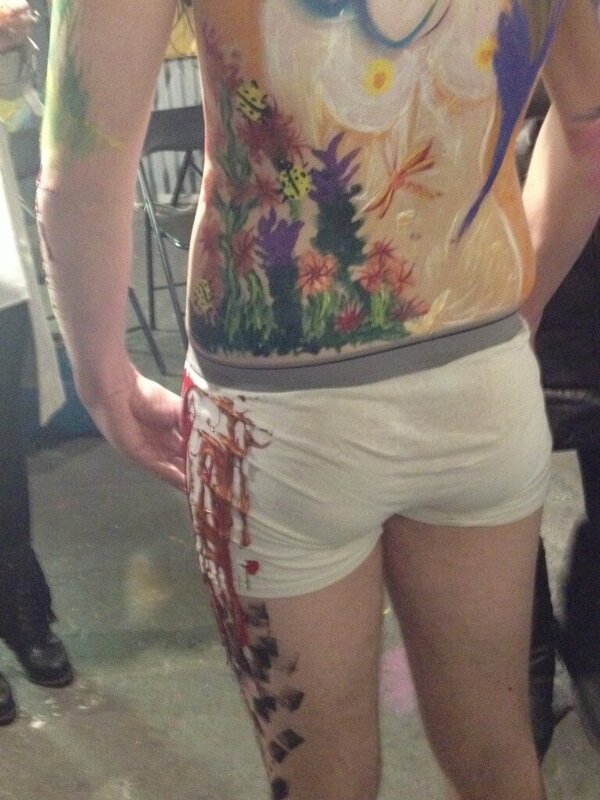 I do in fact want to be painted, I just don't find it comes up in life. I didn't get any 'take home' which probably would have been enough for me to want to 'use them up' get myself painted and delight in my non-naked naked ness! In my twenties I would have loved this. 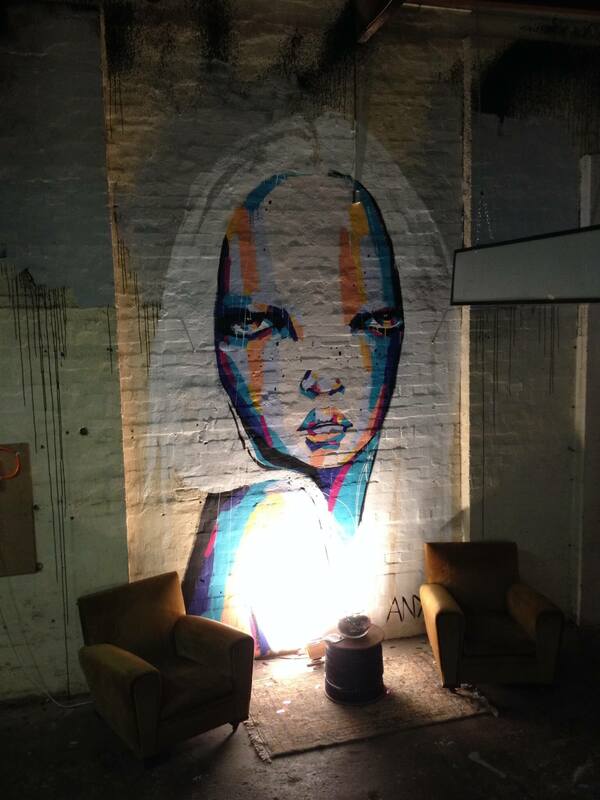 Now, I think I'd freak out slightly if I was in a warehouse painting models in winter. I'd want to sit them down and give them a coat and a hot chocolate!!! Yeap. I’d be tutting about the cold young things too. And I’d not accept their protestations that they were OK. I’d feel their arms. It definitely would have been better suited to a summer month! I reckon it'd be a great at home date!